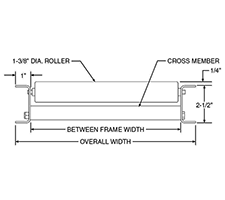 For use in permanent installations, this medium duty galvanized steel gravity roller conveyor features full-sized 1.9" diameter 16 gauge unplated or galvanized steel rollers set in a 3.5" deep steel frame. This conveyor is a perfect way to carry light to medium weight packages among operations within your facility. 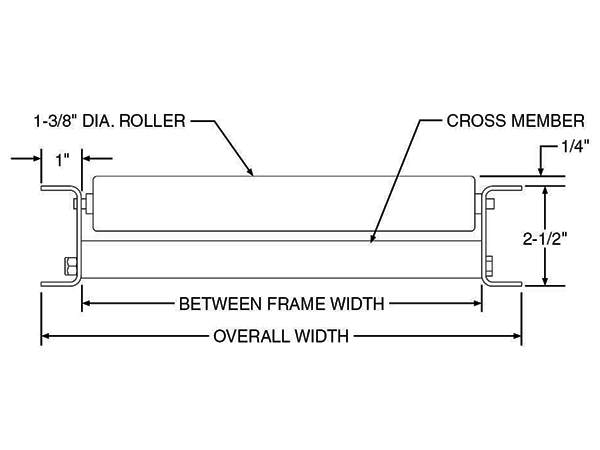 Note: BF in product list stands for "Between Frame Width"